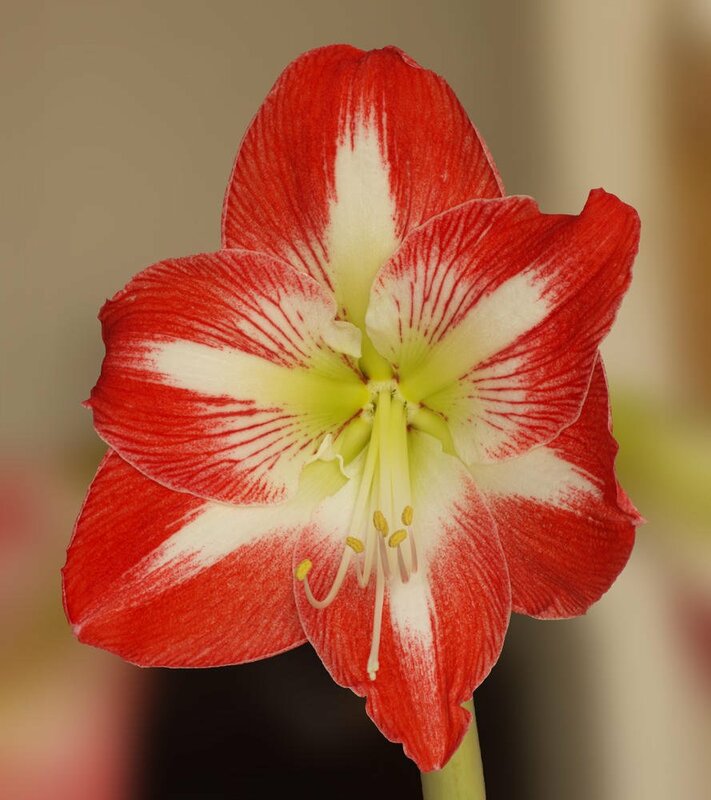 This is the time of year that Amaryllis (aka Hippeastrum) bulbs burst into flower. This is the second flower from one bulb. The first has rather gone over and the third is not quite open. I photographed this full face using 13 images in a stack, focusing on the tip of the stigma and progressively down into the throat of the flower. I found that using the jpegs resulted in the white parts of the petals being rather blown out, so I used the original raw (awr) files. Using the merge, I cropped it, then duplicated it and made a selection of the flower itself and deleted it. I then inverted the selection and applied a Layer > New Live Filter > Blur > Gaussian Blur with Preserve Alpha selected. Restoring the flower from the bottom layer gave the finished image. Nice pic. The only things blooming here right now are dandelions and rain clouds --- although the latter have taken a couple days off in a row now.